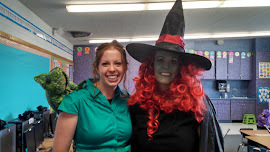 Just like many of you teachers, a crazy little leprechaun visited our classroom this week. 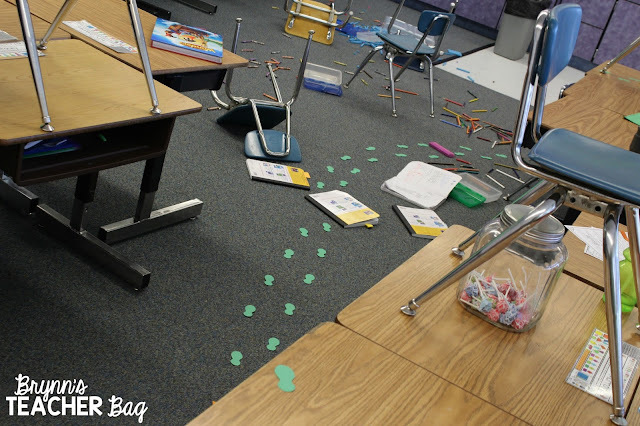 My kiddos came in and were appalled by the mess that this little guy had left. My room was sheer chaos, to say the least. After cleaning up the monstrosity, the kiddos discovered a note left on the board from "Larry Leprechaun." He also left them the first clue to a gold hunt, with some guidelines as they went and found the other clues. They couldn't help but get loud and crazy, within reason of course, as they hurried about finding the clues. I am sure the classes around us were wondering what was going on in our room. 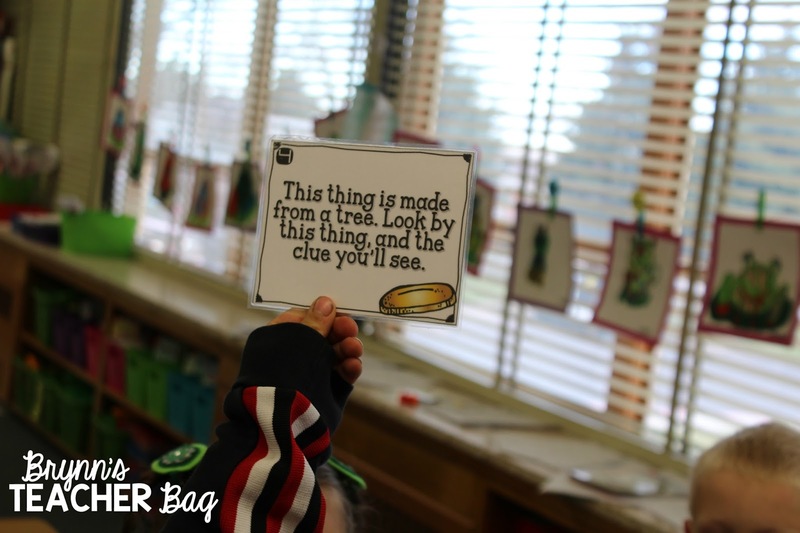 My kiddos would find a clue, wait until the entire class had gathered around, then read each clue together. I've never seen them so engaged during a morning activity. They even said this was "the best morning work ever!" Once all the clues were found, my class looked through my cupboards, hoping to be the first to discover the gold. 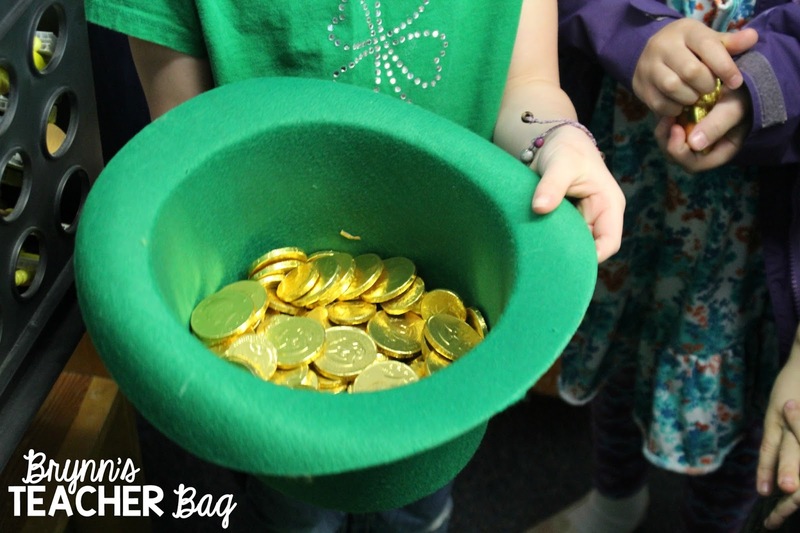 One student found it and took two massive handfuls of gold coins. We had to remind our brains what "fair" means. After equally dividing the coins among my kiddos, they could not help but shove chocolate in their mouths. It was a sight to see! Throughout the day, anything that went wrong, was blamed on Larry Leprechaun. Poor Larry would have been in serious trouble if he had stuck around. :) You can find this Gold Hunt FREEBIE in my TPT store. 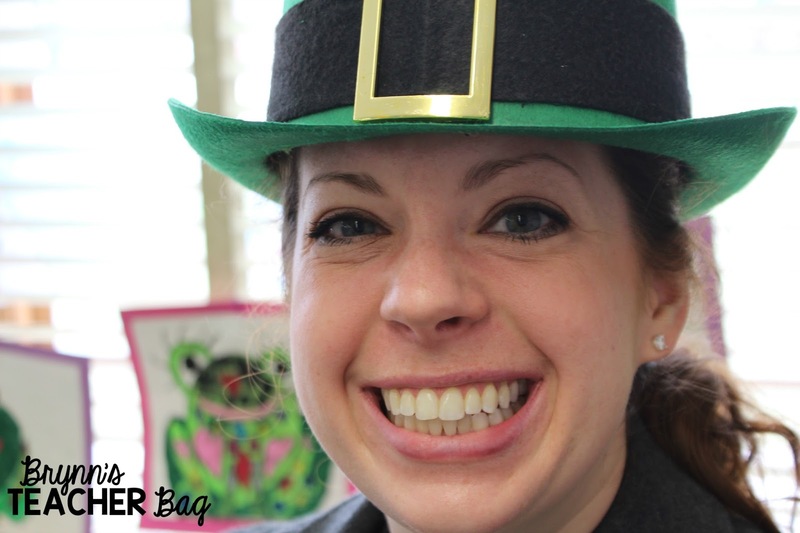 My kiddos also decided that I look a little bit like a leprechaun. May the luck of the Irish be with you, as we're winding down the last few days before SPRING BREAK!